Three classical concerts in the historic NG Church and two events at Cafe Bon Bon. Charl Du Plessis (piano) plays a varied programme of music by Chopin, Piazzolla, Gershwin and his own improvisations. Christopher Duigan (piano) plays ‘ Mostly Mozart’ including the Sonata in F K. 332 and music by Greig and Debussy. Albie van Schalkwyk (piano) and David Pinoit (cello) play Beethoven's Cello Sonatas Nos. 2, 3 and 4. Enjoy a unique Franschhoek experience with a dinner or lunch and concert performance combined. Pianist Christopher Duigan plays 'Another Twenty Popular Piano Solos’ including music by Beethoven, Mozart, Chopin, Debussy and Liszt. For the past 16 years Christopher Duigan’s Music Revival has delighted classical music audiences with stellar performances in two annual weekend festivals in Franschhoek. The concerts of one of these festivals, the Autumn Music Weekend, are also enjoyed by those attending the popular after Franschhoek Literary Festival. This year’s Autumn Music Weekend in Franschhoek - which runs from Friday 17 to Sunday 19 May 2019 - continues that tradition. The festival opens with a performance from leading South African pianist Charl Du Plessis who plays a varied programme of music by Chopin, Piazzolla, Gershwin and his own improvisations. Charl du Plessis most recently made headlines when he became the first pianist ever to perform on top of Table Mountain. He rose to fame when he was the youngest pianist in Africa to be named a Steinway Artist in 2010 and has since embarked on an international career working simultaneously as classical and jazz pianist and has illuminated the music of from Bach to Billy Joel for a new generation of listeners. On Saturday 18 May at 11:30 am Christopher Duigan (piano) plays ‘Mostly Mozart’, a programme of his favourite music by Mozart, Chopin, Greig and Debussy. Duigan presents a selection of music including Mozart’s piano sonatas, in D major K. 311 and F major K.332, along with sparkling classics by Edvard Greig, Claude Debussy and a selection of waltzes by Frederic Chopin. 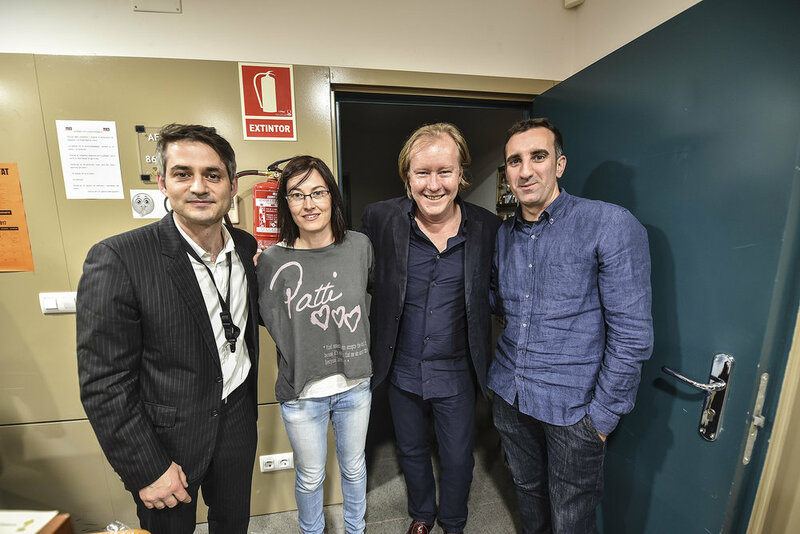 In December 2018 Duigan, along with international saxophonist David Salleras, were the featured soloists with the Orquestra des Valles at the famed Palau de la Musica, Barcelona, one of the world's most prestigious concert venues. Their performance was repeated at the recent Woordfees in Stellenbosch in March 2019. 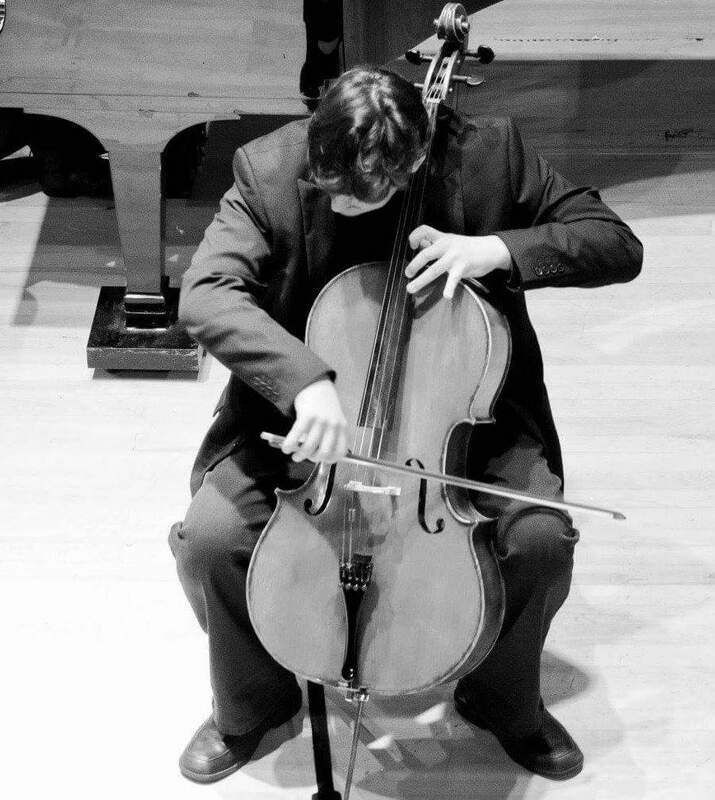 The third of the classical concerts in the NG Church on Sunday 19 May at 11:30 am sees Albie van Schalkwyk (piano) and David Pinoit (cello) play Beethoven's Cello Sonatas Nos. 2, 3 and 4. Albie van Schalkwyk has established himself as one of the leading chamber musicians and vocal accompanists in South Africa. In 2009 the SA Academy of Arts and Sciences awarded him the Huberte Rupert Prize for his contribution to ensemble playing and teaching over more than 30 years. 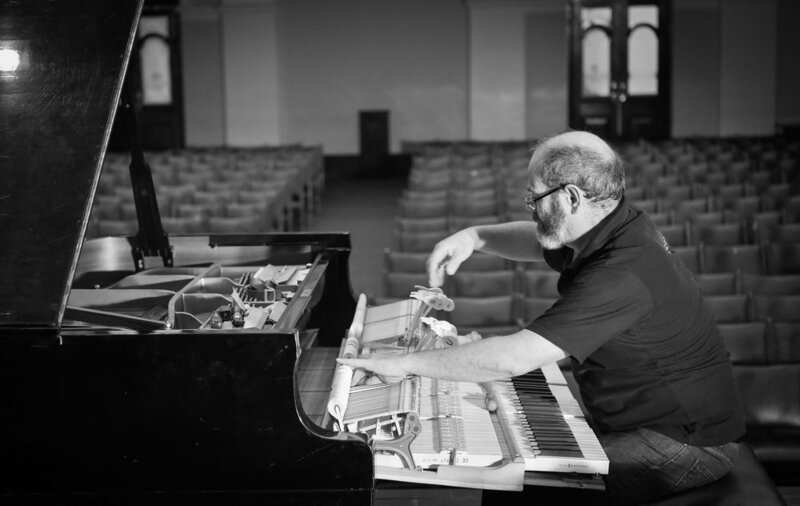 He retired from his post as Associate Professor in Piano and Chamber Music at the SA College of Music, University of Cape Town, at the end of 2017 to his own private studio and to continue his performance career as collaborative pianist. David Pinoit is a French cellist born in Dijon, Bourgogne. He started his cello tuition at the age of 8 at the Conservatoire Régional de Dijon with Christian Wolff later completing his Diplome d'Etudes Musicales at at the Haute Ecole de Musique de Lausanne in Switzerland. In 2014 he completed his Master of Arts in Music Performance under cellist Francois Salque before moving to South Africa. He currently teaches and works as a freelance performer in Cape Town. Their Franschhoek engagement follows on the acclaimed duo’s recent performances of the complete sonatas by Beethoven in Cape Town. Tickets for the NG Church Concerts at R100 are available at www.webtickets.co.za and at the door. Performance time is 70 mins. A major feature of any Music Revival Concerts Weekend in Franschhoek are the popular dinner or lunch and concert performances at Cafe Bon Bon at La Petite Dauphine, one of the most picturesque estates in the Franschhoek Valley. 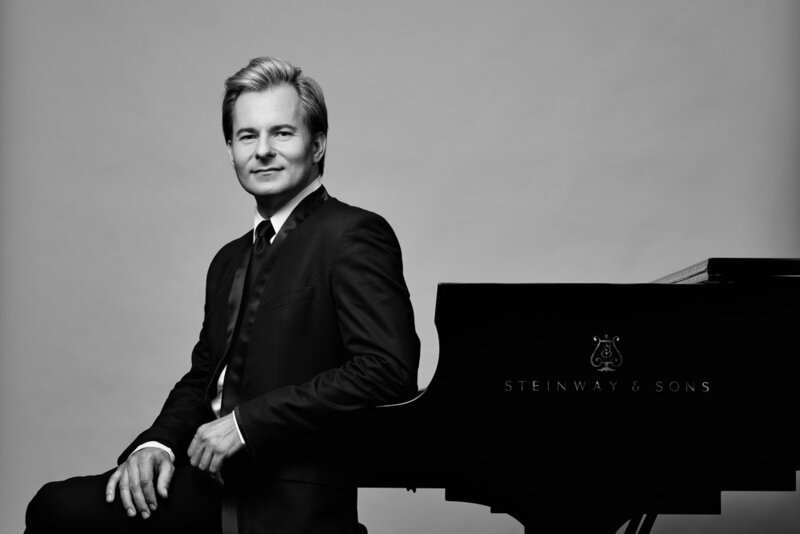 Enjoy a unique Franschhoek experience with a ‘Candle-light soiree' on Saturday 18 May at 7:00 pm and ‘Bon Bon Finale’ on Sunday 19 May 1:00 pm as pianist Christopher Duigan introduces and plays a choice selection of popular classics in 'Another Twenty Popular Piano Solos’. This includes celebrated piano melodies and virtuoso delights by Beethoven, Mozart, Chopin, Debussy and Liszt and Rachmaninoff. Tickets for the Cafe Bon Bon events are R600 for Saturday and R500 for Sunday including a three-course meal. Booking is essential via Cafe Bon Bon 021 876 3936 only. Please note this will put you on a email list to receive info for concerts in Cape Town, Franschhoek, Johannesburg and Pretoria. For Durban and KZN Midlands please visit those pages and join the mail lists there. 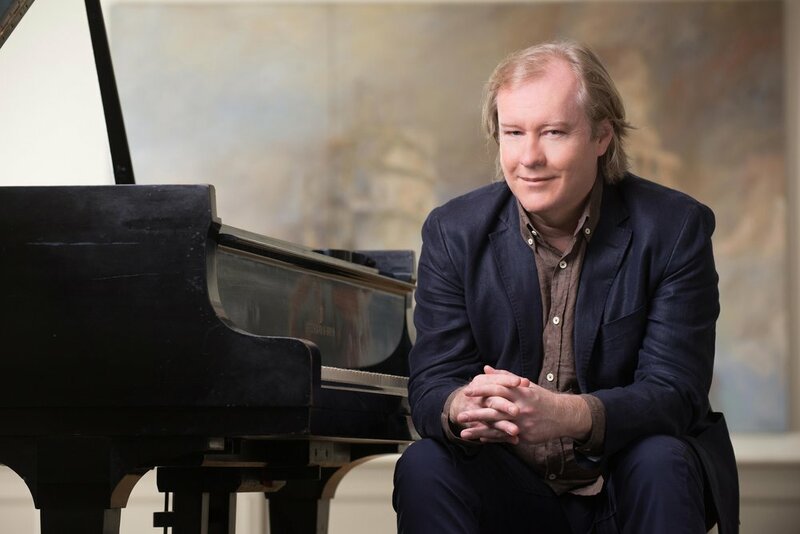 Music Revival presents South African piano icon Christopher Duigan in two classical concerts in Greyton on Saturday 30 and Sunday 31 March 2019. Duigan will present a unique brand of performance coupling his pianistic prowess with his trademark interactive and engaging presentation style, interleaving the music he plays with interesting anecdotes. Widely regarded as one of South Africa’s leading and busiest concert artists he has maintained a highly visible profile in South Africa and internationally over the last 30 years. The first concert take place on Saturday 30 March at 6:30 pm. In 'Twenty Popular Piano Solos' he includes such iconic items as JS Bach’s 'Jesu Joy of Man's Desiring', Frederic Chopin's Polonaise in A, Enrique Granados' ‘Andaluza', and Ludwig van Beethoven’s immortal 'Moonlight Sonata'. Both concerts, lasting just over one hour, are presented at the popular High Hopes Retreat Center & Guest House. Guests are encouraged to enjoy dinner or lunch at one of the neighbouring restaurants in Greyton village. Tickets for each concert are R150 with refreshment available hosted by local charities Booking is via Webtickets or at Greyton Tourism payable in cash Music Revival WhatsApp (only) 083 4174473. Since his first visit to South Africa in October 2012, virtuoso Spanish saxophonist David Salleras has been collaborating on a project of concerts and recordings of original music with Christopher Duigan. Together they have performed more than 150 concerts and recorded two albums of Duigan’s original music ‘Indigo' and 'Midnight Blue'. 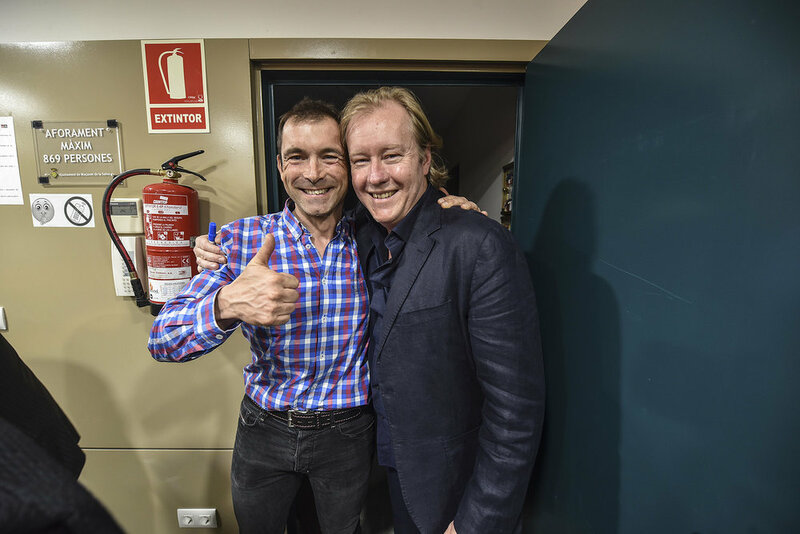 In December 2018 David Salleras and Christopher Duigan were featured as soloists with the Orquestra des Valles at the Palau de la Musica, Barcelona, one of the world's most prestigious concert venues playing Yoshimatsu’s ' Cyberbird’ Concerto. They repeat this performance in Stellenbosch. Exhilarating music from South America, South of Spain and South Africa - original music by Christopher Duigan from the album 'Midnight Blue'. TICKETS: R165 per person. Cash bar. Cucina Labia open from 5:30 pm. The Stellenbosch University Symphony Orchestra under the baton of international Israeli-American conductor Daniel Boico opens the 2019 Woordfees. Virtuoso Spanish saxophonist David Salleras, South African pianist Christopher Duigan and percussionist Emilio Lorenzo, unite in a performance of the colourful and rhythmic Cyber bird concerto for saxophone, piano and orchestra by Japanese composer Takashi Yoshimatsu. Also on the menu is the lyrical Tragic overture by Johannes Brahms, and the Slavonic warmth of the joyful and radiant Symphony No. 6 by Antonin Dvořák. David Salleras, from Barcelona, has attracted international attention through his fluency in a variety of musical styles. His innovative compositions, which incorporate traditional flamenco idioms with contemporary and avant-garde performing techniques, are performed by saxophonists worldwide. In this concert Salleras features compositions for solo saxophone along with traditional repertoire for saxophone and piano including tangos by Astor Piazzolla, music by Spanish saxophone legend Pedro Itturalde and original compositions by Christopher Duigan. Salleras plays Vandoren and Selmer instruments, and Duigan is closely associated with the Steinway instrument. Welgelegen in conjunction with Steinway Artist Charl du Plessis are proud to present a new series of music concerts for music lovers and visitors to Welgelegen, which is a world renown boutique hotel and manor house. Tickets includes welcome drinks and canapés, a three course set dinner and wine pairing. The night will close with coffees and teas. Tickets only R1000 per person. A spectacular selection of passionate, beguiling virtuoso piano music. 26 - 28 October 2018! It was certainly hot! The weekend in one …. Acclaimed guitarist and three-time SAMA nominee James Grace plays 'Journey to Spain', an all-Spanish programme featuring music from Grace's forthcoming album ‘Andaluza’. James will include Joaquin Turina's evocative ‘Fandanguillo’, commissioned by Andres Segovia, and Joaquin Rodrigo’s hauntingly beautiful I'nvocacion y Danza', a homage to Manuel de Falla. 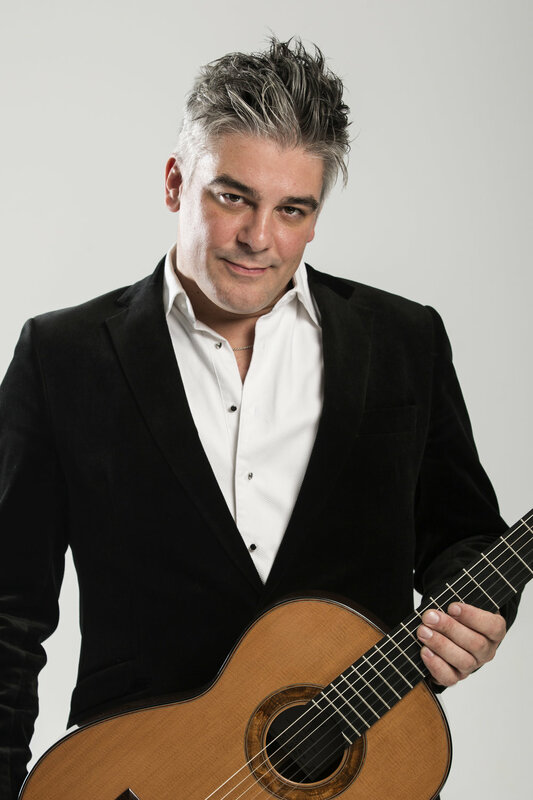 James will also perform works by composers including Albeniz, Granados and Tarrega from his previous albums on guitar by leading South African luthier Hans van den Berg. Tickets are available at www.webtickets.co.za and the door. 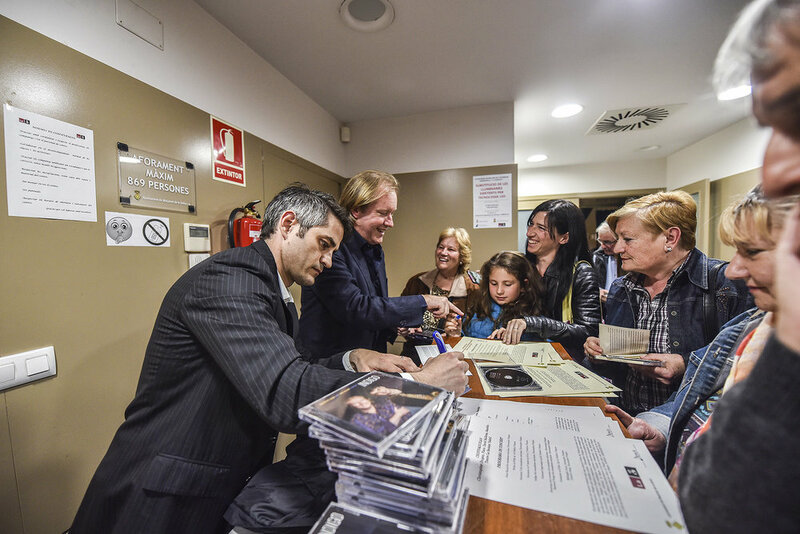 Internationally acclaimed Spanish saxophonist David Salleras is recognised by saxophone players world-wide for his original compositions combining virtuoso techniques and traditional flamenco idioms. In this concert he features several of these compositions for solo saxophone ahead of a recording later in the week. He balances this with traditional repertoire for saxophone and piano including tango by Astor Piazzolla, music by Spanish saxophone legend Pedro Itturalde and original compositions by Christopher Duigan. Salleras is a Vandoren and Selmer Artist. R550 includes a three-course meal. 'If I Loved You’ brings together beautiful melodies from the world of popular song, classic musicals and the world’s major concert stages. Included are selections from Noel Coward, Cole Porter, from musicals ‘My Fair Lady' and ‘Carousel’, and songs in Spanish including the show-stopper, Granada. Inspirational moments and classical art-song by Faure, Tchaikovsky balance the selection. Federico Freschi and Christopher Duigan are joined by visiting saxophonist from Barcelona, David Salleras, who adds a haunting touch with improvised interludes and countermelodies to these well-known selections. This programme premiered to critical and public acclaim at the National Arts Festival 2018. Feel a touch of nostalgia in this sensitively crafted performance. This year festival audiences audiences can enjoy Christopher Duigan performing a programme of music by the ultimate piano virtuoso, Franz Liszt (1811-86). Duigan’s programme includes a stellar selection of celebrated and dazzling compositions, including the popular Liebestraum, La campanella, Hungarian Rhapsody No 2, and Un sospiro, in a thrilling introduction to the life and music of the great Hungarian composer. 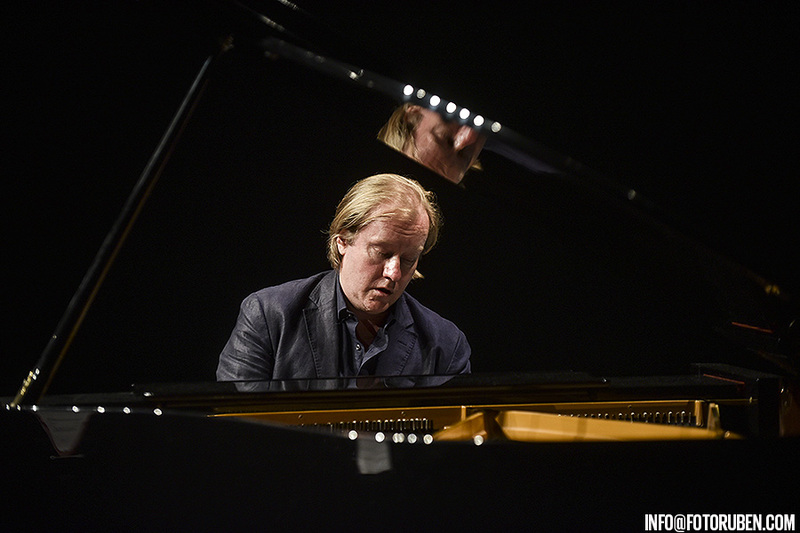 Christopher Duigan is a Steinway Artist. R450 includes a three-course meal. Antonio Vivaldi’s four violin concerti ‘The Four Seasons’, composed in 1723, is now one of all music’s most famous compositions. Vivaldi tried to portray his experiences of each of the seasons of the year through music and later wrote poetry to accompany the experience. With this rendition of the ‘Four Seasons’, listeners will experience the music, plus the poems, in a format not heard before in South Africa - that for violin, electric bass and accordion - played by Petrus de Beer (violin), Schalk Joubert (bass) & Stanislav Angelov (accordion). This riveting production leads to a selection of popular film music and cafe favourites to end the festival on a high note! 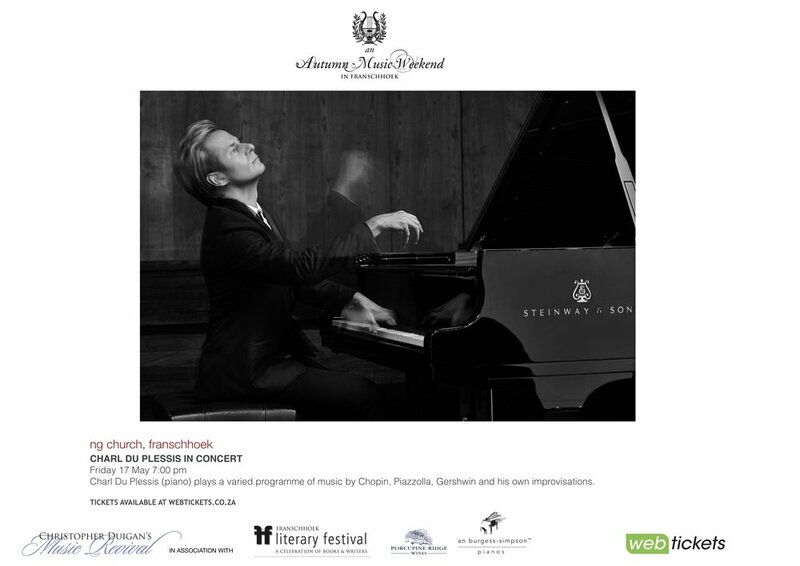 The Marriott Classic Music Festival in Franschhoek is sponsored by Marriott, The Income Specialists and supported by Ian Burgess-Simpson Pianos. Tel: Anne 082 218 0100 or email: ccctickets8@gmail.com. Franz Liszt learnt from Berlioz to think big, from Paganini to dazzle with technique, and from Chopin how to write poetry for the piano. He transcribed entire orchestral works for solo piano (eg. each of the nine symphonies of Beethoven) and played them himself more brilliantly than any orchestra. His recitals were a series of triumphs, and all of Europe was in awe of him. Few pianists are accomplished enough to attempt his music; Christopher Duigan views this recital as a personal challenge. His programme includes the Liszt "Big Four" : Liebestraume, La Campanella, the Hungarian Rhapsody No 2, Un Sospiro and the Lucia di Lammermoor Fantasie. Steinway artist and leading South African pianist Christopher Duigan plays a scintillating programme “The Gershwin Songbook”. Included are the iconic ‘Rhapsody in Blue’, 'Three Preludes’ and ’18 Song Transcriptions’ by the unique cross-over genius, George Gershwin. The programme is completed with music by Scott Joplin and Zez Confrey. R150 per person - payable in advance. Cucina Labia will be open before the concert for dinner service between 17h30 and 19h50 - bookings are essential and can be made through me. A series of concerts in the historic NG Church and at Cafe Bon Bon. Shelley Levy (clarinet) & Elna van der Merwe (piano). The London-based clarinetist play Brahms, Chausson and Bernstein with Stellenbosch pianist Elna van der Merwe. Trio Goede Hoop :Tertia Visser Downie (piano), Cheryl de Havilland (cello) & Matthew Reid (clarinet) play Beethoven, Klezmer music and tangos by Piazzolla. Christopher Duigan plays an exploration of music by Debussy on the 100th anniversary of his death in 1918, including ‘Clair de lune’ and ‘The Sunken Cathedral’. R600 includes a three-course meal. Enjoy a unique Franschhoek experience with a lunch and concert performance combined : Steinway virtuoso Christopher Duigan plays Gershwin’s scintillating “Rhapsody in Blue”, “3 Preludes” and "18 Song Transcriptions"
For the past 15 years Christopher Duigan’s Music Revival has delighted classical music fans with performances to stimulate the intellect, warm the heart and soothe the senses! The concerts are also enjoyed by those lucky enough to obtain tickets to the sought after Franschhoek Literary Festival events. 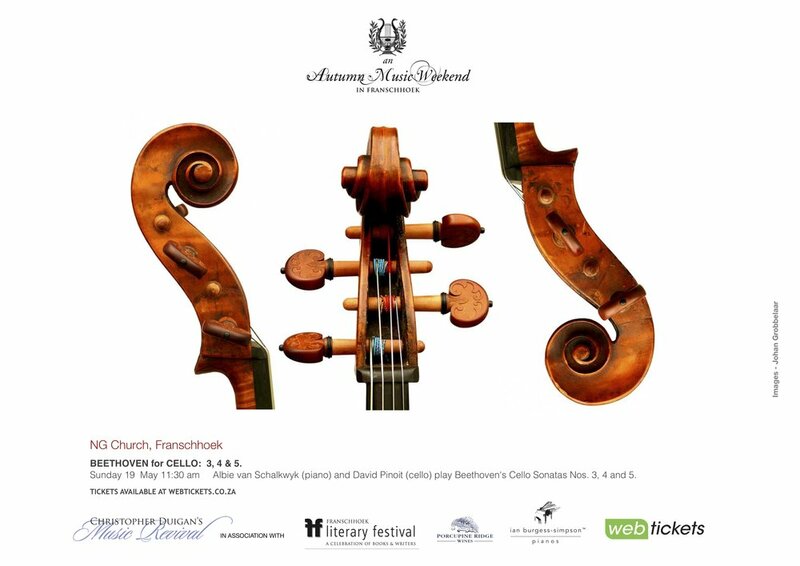 This year’s Autumn Music Weekend in Franschhoek - which runs from Friday 18 to Sunday 20 May - continues that tradition. The festival features two performances with Steinway artist and leading South African pianist Christopher Duigan playing a scintillating programme “The Gershwin Songbook”. Included are the iconic ‘Rhapsody in Blue’, 'Three Preludes’ and ’18 Song Transcriptions’ by the unique cross-over genius, George Gershwin. These performances at Cafe Bon Bon at La Petite Dauphine, on the outskirts of the village, offer festival-goers a truly unique experience. To book for the candle-light soirée on Saturday 19 May at 7:00 pm, or lunch on Sunday 20 May at1:00 pm, all Cafe Bon Bon 021 876 3936. Tickets are R600 for dinner and R500 for lunch consisting of a three course gourmet meal and the concert performance. Duigan is proudly supported by South Africa’s leading piano agents and concert technicians Ian Burgess Simpson Pianos who supply pianos for his performances nationally. Also on that weekend are three concerts in the historic NG Church, Huguenot St in the heart of the Franschhoek village. On Friday evening 18 May at 7:00 pm in 'Romantic Music for Clarinet and Piano’ the London-based Shelley Levy (clarinet) & Elna van der Merwe (piano) playing music by Brahms, Chausson and Burgmüller. 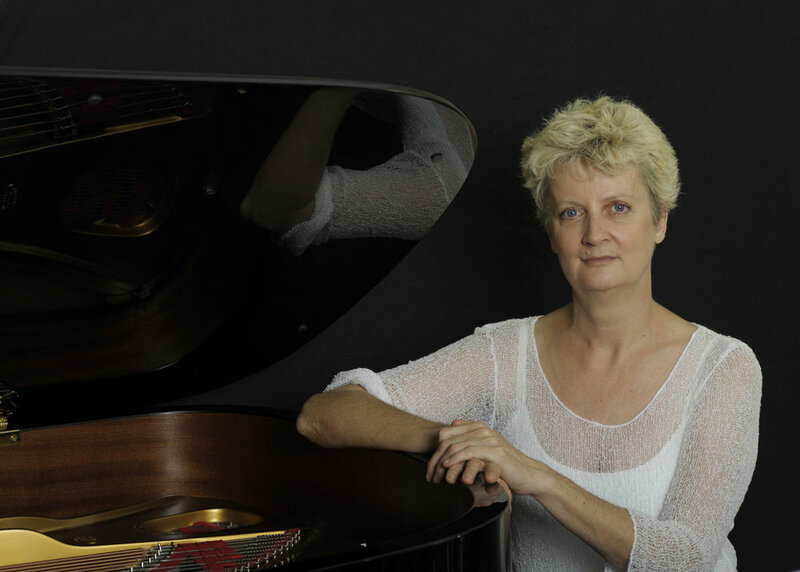 A trio of seasoned Cape musicians - Tertia Visser Downie (piano), Cheryl de Havilland (cello) and Matthew Reid (clarinet) - play Beethoven, Klezmer music, and tangos by Piazzolla in a programme titled ‘From Beethoven to Piazzolla’. This can be heard on Saturday 19 May at 11:00 am. Also on Sunday 20 May, at 11:30 am, concert-goers can hear Duigan in his presentation 'The Magical Musical World of Claude Debussy’. This unique musical exploration honours the great French composer on the 100th anniversary of his death in 1918. The beautifully curated programme includes classic items such as ‘Clair de lune’ and ‘The Sunken Cathedral’ and more. Booking for the NG Church concerts, which are 70 minutes in duration (no interval) is via Webtickets www.webtickets.co.za or at the door. For more visit www.musicrevival.co.za or www.flf.co.za for more on the Franschhoek Literary Festival. Christopher Duigan plays an exploration of music by the French composer Claude Debussy on the 100th anniversary of his death in Paris on 25 March 1918. This will include ‘Clair de lune’, 'Reflections on the water, ‘ The Girl with the Flaxen hair’, 'Arabesque No 1', 'Reverie’ and ‘The Sunken Cathedral’. Debussy's music is atmospheric and subtly hued; reflecting the world around him. From images of water and snow, recollections of Spanish and popular music, to sounds from the Far East and ancient times - a magical world unfolds! Cucina Labia will be open before the concert for dinner service between 17h30 and 19h50 - bookings are essential. 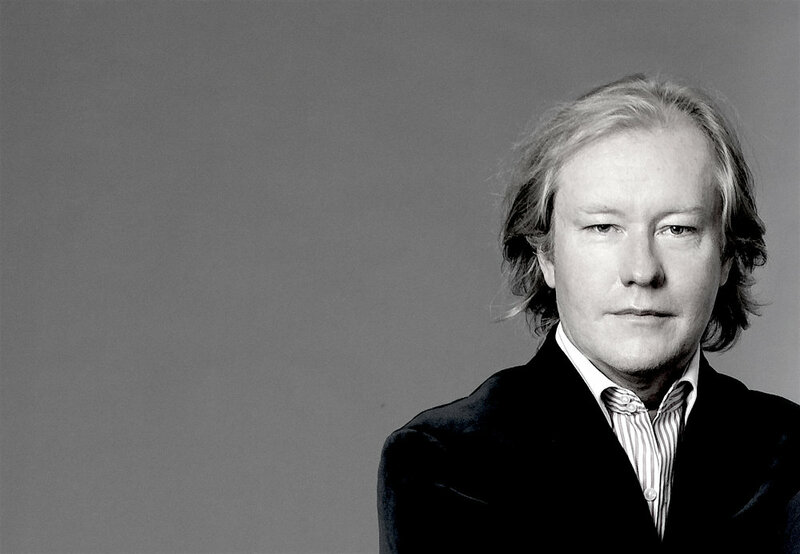 Concert pianist and Steinway Artist Christopher Duigan plays a programme of beautiful classics including music by Chopin, Debussy and Gershwin. The popular selection that includes Mozart’s ‘Rondo all’ turca’, Chopin’s ‘Waltz brilliant’ and ‘Rustle of Spring’ will be introduced by the artist. UJ Arts & Culture is proudly launching its refurbished Steinway & Sons Concert Grand Piano with a one night only benefit concert featuring fours pianists in one concert. The Steinway and Sons Model ‘D' Concert Grand at UJ Arts & Culture will take centre stage at the Fineway with a Steinway performance on Friday evening, 23 March 2018 at the University of Johannesburg’s Art Centre on the Kingsway Campus in Auckland Park, Johannesburg. Featuring four of South Africa's top concert pianists of international acclaim in one performance, this gala evening presents UJ Arts & Culture's piano following a much-needed extensive rebuild and refurbishment in a unique and entertaining event. All concert proceeds will be donated to the bursary fund established by Professor Federico Freschi, the Executive Dean of the Faculty of Art, Design & Architecture (FADA), in aid of academically deserving FADA students. The programme will consist of works from Ferdinando Carulli, Manuel de Falla, Celso Machado and more. James is a KANNA Award winner for Best Male Artist at the 2010 ABSA KKNK, and more recently KykNET Fiesta winner, he is one of one South Africa’s leading concert artists. James is launching his sixth solo guitar album ‘Chilled’, under the banner of his independently owned and operated record label, Stringwise Records. The Classical Guitar Magazine has described Morgan as a ‘player destined for future glories’ and has been highlighted as “’one to watch by both Gramophone Magazine and the BBC Music Magazine. Pianos supplied by Ian Burgess-Simpson Pianos. 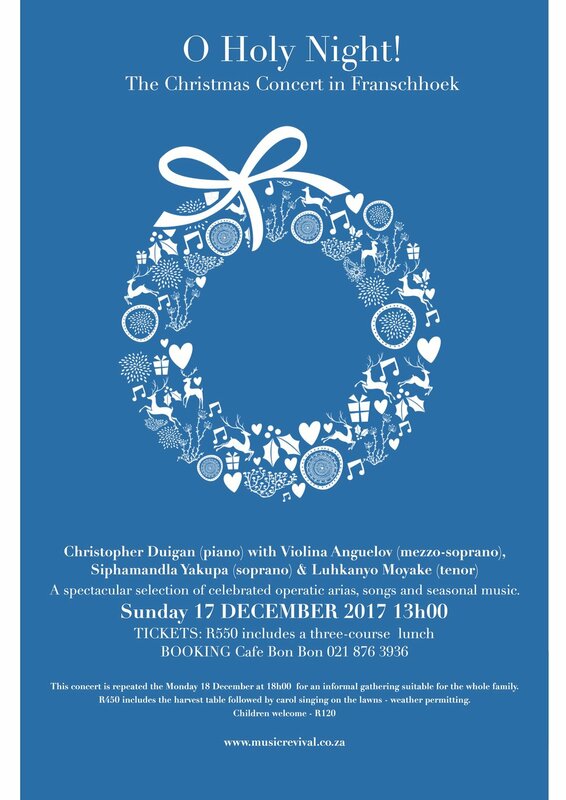 Pianist, Christopher Duigan, performs the music of French-Polish pianist and composer, Frédéric Chopin in two special performances, an evening candlelit soiree and lunch and concert, at the exquisite Cafe Bon Bon Studio at La Petite Dauphine in Franschhoek. This programme includes a representative selection of the composer's music: The Ballade No 1, Scherzo No.2 plus nocturnes, etudes, mazurkas and waltzes. In this special presentation Duigan will also be offering insight he gained into Chopin's life and his music while on a trip to Warsaw, Poland and the Chopin Museum in 2015. 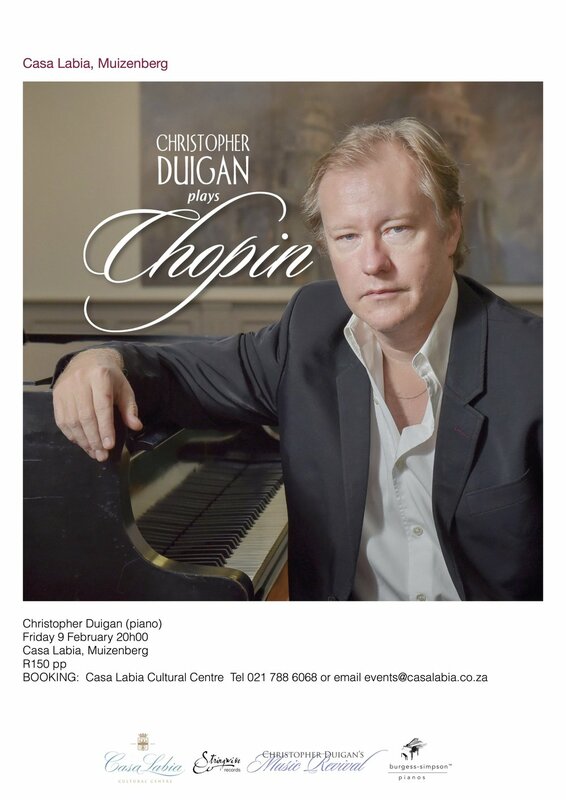 Duigan, a Steinway Artist is widely regarded as one of South Africa'’s leading concert pianists and has devoted much time to the study and performance of Chopin’s music in his professional career over the last 25 year. He was invited to give two recitals of Chopin's music at the National Arts Festival in Grahamstown in 2010 on the 200th anniversary of the composer's birth. Much of the music performed in these concerts is on the CD ‘Christopher Duigan plays Chopin’ released in November 2016. Signed CDs will be available at the performances! Pianist, Christopher Duigan, performs the music of French-Polish pianist and composer, Frédéric Chopin in a special evening at Casa Labia. This programme includes a representative selection of the composer's music: The Ballade No 1, Scherzo No.2 plus nocturnes, etudes, mazurkas and waltzes. In this special presentation Duigan will also be offering insight he gained into Chopin's life and his music while on a trip to Warsaw, Poland and the Chopin Museum in 2015. Duigan, a Steinway Artist, has devoted much time to the study and performance of Chopin’s music in his professional career over the last 25 years and was invited to give two recital programmes of the composer’s music at the National Arts Festival in Grahamstown in 2010 on the 200th anniversary of the composer's birth. Much of the music performed is available on the CD ‘Christopher Duigan plays Chopin” released in November 2016. Signed CDs will be available on the evening! A cash bar will be available & cards are welcome. We do not serve drinks after the concert. Three superb voices gather for a sensational seasonal lunch at Cafe Bon Bon. Celebrated mezzo-soprano Violina Anguelov is joined by tenor Lokhnayo Moyake who is fast becoming a ‘hot ticket’ on the opera scene and Siphamandla Yakupa (soprano). They sing a magnificent selection of popular opera and song and a selection of seasonal and sacred music including ‘O Holy Night’, 'Panis Angelicus' and ‘Silent Night’. Expect spectacular performances from ‘Carmen’, La Boheme’, ‘Rigoletto’, ‘La Traviata’ and comic moments in this beautiful programme. Christopher Duigan accompanies at the piano. The same concert is repeated on Monday evening where family and kids are invited to attend and enjoy the music and evening in a relaxed setting at Cafe Bon Bon.The concert will take place in the courtyard - weather permitting. Guests will be treated to a seasonal harvest table plus special packs for the kids. Carol singing on the adjacent lawn to follow with the guests accompanied by James Grace (guitar). Bring blankets and candles for the carol singing - weather permitting. Tickets: R450 includes the harvest table followed by carol singing on the lawns - weather permitting. Children welcome - R120 includes a special kids package surprise! A spectacular selection of celebrated operatic arias, songs and seasonal music. Thank you to everyone who supported our Marriott Classic Music Festival in Franschhoek! FOR the past 15 years Christopher Duigan’s Music Revival has delighted classical music fans with performances by the best musicians in the country. This year’s Marriott Classic Music Festival in Franschhoek – which runs from October 27 to October 29– continues that tradition of excellence. The festival gets underway with the Juliet String Quartet and Justin Carter (clarinet) at 7.30 pm on Friday, October 27 in NG Church in Franschhoek. 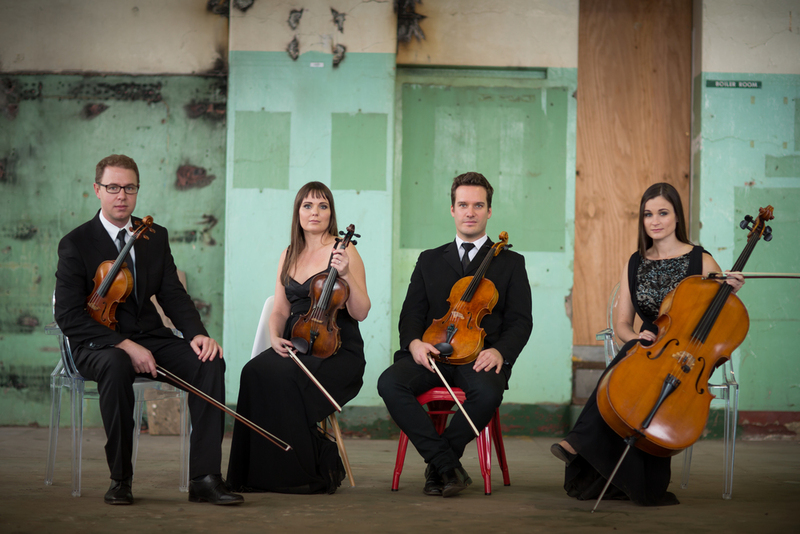 The newly-formed and already fêted quartet comprises four of Cape Town’s finest musicians: Annien Shaw and Nicole D’Oliveira (violins), Emile de Roubaix (viola) and Babette Roosenschoon (cello). Well-known for their engaging and varied programmes they are joined by Carter to perform Mozart's Clarinet Quintet in A major K.581. The String Quartet in C major, Op. 20 no. 2 by Joseph Haydn, Chaconne in G minor (Z 730) by Henry Purcell and ‘Valse drom Lasse’ complete the programme. The second concert in the NG Church, 'Conversations with my Piano’, will feature international jazz pianist, Darius Brubeck, in a rare offering of solo piano music. Brubeck is most often heard as the leader of the Darius Brubeck Quartet, or with his brothers, playing the music of their father, legendary pianist Dave Brubeck, in Brubeck plays Brubeck. For this concert he will be joined in a musical ‘piano ping pong’ or back and forth by pianist, Duigan, who will play classical and popular solos, improvisations and original material off-setting Brubeck’s jazz offerings. This conversational engagement takes place with, and around, the piano on Saturday, October 28 a11.30 am. At 12 noon on Sunday, October 29, Duigan plays The Music of Chopin Vol II, a follow-up to ‘The Music of Chopin’, which he performed in over 40 concerts nationally and recorded on CD. The NG Church programme includes a new selection of the Franco-Polish composer’s piano-dominated output, including rustic Polish mazurkas, glittering French waltzes, rhapsodic tales in Ballade and Barcarolle and a set of spell-binding piano etudes. It continues the unique exploration and presentation of Chopin’s music that Steinway artist, Duigan, has maintained over the last 20 years. This performance is dedicated to the memory of Ine van der Tak. Tickets for the three NG Church concerts are R120 and can be booked online by credit card at via www.webtickets.co.za as well as at Pick and Pay outlets nationwide. Tickets will also be available at the door. No music festival in Franschhoek would be complete without the famed diner and lunch concerts at La Petite Dauphine. Kicking things off is Grand Soiree: Grand Voices at 6.30 pm for 7 pm on Satuday, October 28 at Café Bon Bon. This enthralling opera evening will feature three of South Africa’s most prolific voices - Violina Anguelov, who has earned a stellar reputation as SA’s top mezzo-soprano, and husband and wife team, Siphamandla Yakupa (soprano) and Lukhanyo Moyake (tenor) . They will sing celebrated arias, duets and songs from ‘Carmen’, ‘Samson and Delilah’, ‘La Traviata’, ‘Turnadot' and more. Tickets for this very special evening are R550, which includes a three-course meal. To book phone Café Bon Bon at 021 876 3936. Also at the venue is the Bon Bon Finale at 1 pm on Sunday, October 29. Pianist Darius Brubeck, who makes his second appearance at the festival, will be joined by long-time collaborator and fellowAmerican, Mike Rossi (sax), and other jazz musicians on bass and drums to perform a stylish selection of jazz standards and original numbers. The concert promises to end the festival on a spectacular note. Tickets are R450, which includes a three-course meal. To book phone Café Bon Bon at 021 876 3936. Speaking on behalf of all the participating musicians, Duigan said: “We look forward to seeing many old friends and also showing many new ones why we as artists enjoy the festival as much as the audience. 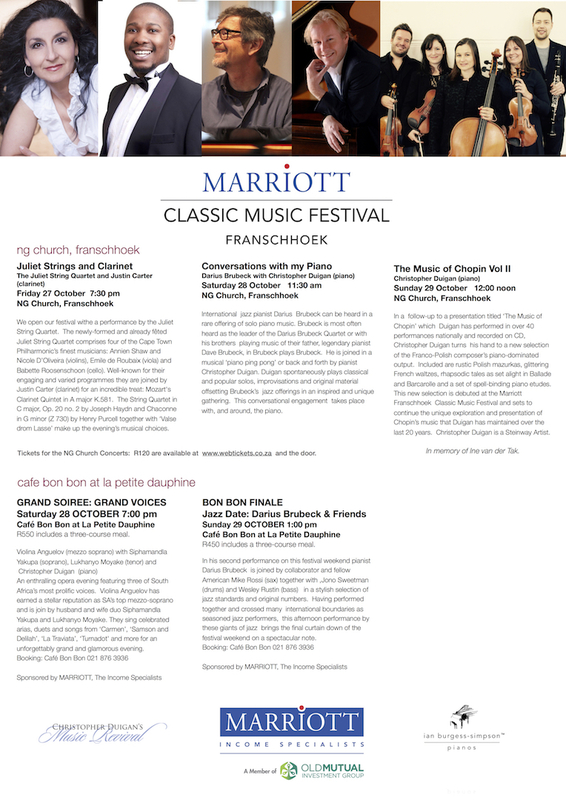 The Marriott Classic Music Festival in Franschhoek is sponsored by Marriott, The Income Specialists. The ‘Songs you Love’ brings together two of South Africa's most dynamic performers in popular melodies from the world of opera, classic musicals and the world’s celebrated stages. Includes numbers from ‘Carmen’, ‘Marriage of Figaro’, ‘My Fair Lady', Neapolitan songs including ‘O sole mio’, celebrated numbers from Cole Porter, Edith Piafand others. Hit that high-note in this up-beat programme! A cash bar will be available & cards are welcome. THE FOUR SEASONS: Four concerts from July 2017 to May 2018. Cucina Labia Restaurant will be open for dinner between 18h00 & 20h00. Booking is essential. Virtuoso saxophonist David Salleras visits South Africa once again to tour with pianist Christopher Duigan. Since his first visit to South Africa in October 2012, Salleras has been collaborating on a project of concerts and recordings with Duigan. Salleras (who is based in Barcelona, Spain) has attracted international attention through his fluency in a variety of musical styles. In addition, his innovative compositions, which incorporate traditional flamenco idioms with contemporary and avant-garde performing techniques are performed by saxophonists worldwide. Their performance includes works from the traditional saxophone repertoire by Jules Demersseman, JS Bach, Darius Milahaud’s ’Scaramouche’ and music from Spanish composer / saxophonist by Pedro Itturalde. Itturalde's 'Suite Hellenique' traditionally offer pianist and saxophonist plenty of opportunity to explore a wide range of dynamic interplay through a variety of musical styles. A standard part of any programme in a Salleras/ Duigan performance includes their own creative arrangements of music by Argentina 'tango nuevo’ by Astor Piazzolla in addition to one of Salleras’ own solo ‘Caprices’ and Duigan's own composition as recorded on the albums ‘Indigo' and 'Midnight Blue'. A spirited selection of world music classics, concert favourites and music from the their albums INDIGO and MIDNIGHT BLUE. Supported by Ian Burgess-Simpson Pianos. 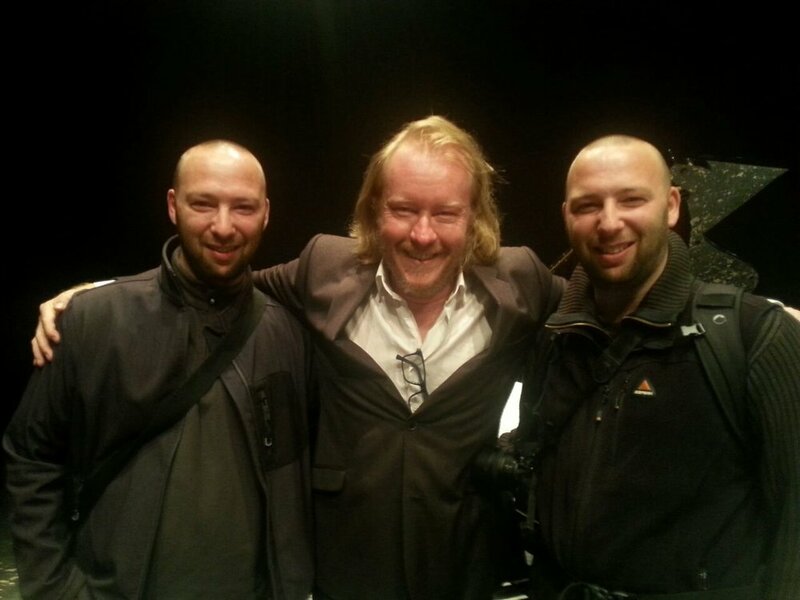 Virtuoso saxophonist and composer David Sallera visits South Africa once again to tour with pianist Christopher Duigan. Since his first visit to South Africa in October 2012, Salleras has been collaborating on a project of concerts and recordings with Duigan. Salleras (who is based in Barcelona, Spain) has attracted international attention though his fluency in a variety of musical styles. In addition his innovative compositions which incorporate traditional flamenco idioms with contemporary and avant-garde performing techniques are performed by saxophonists worldwide. Their performance, following on highly acclaimed appearances in 2013 and 2015 at the Brooklyn Theatre, includes works from the traditional saxophone repertoire by Jules Demersseman, Johann Sebasstian Bach, Darius Milahaud’s ’Scaramouche’ and music from Spanish composer / saxophonist by Pedro Itturalde. Itturalde's 'Pequena Czardas' and 'Suite Hellenique' traditionally offer pianist and saxophonist plenty of opportunity to explore a wide range of dynamic interplay through a variety of musical styles. A standard part of any programme in a Salleras/ Duigan performance includes their own creative arrangements of music by Argentina 'tango nuevo’ by Astor Piazzolla in addition tone of Salleras’ own solo ‘Caprices’ and Duigan's own composition as recorded on the albums ‘Indigo' and 'Midnight Blue'. Both albums have received considerable airplay on Classic FM. As an aside they will include a brief selection of songs from a forthcoming project that focuses on the creative reworking and improvising on folk songs and traditional melodies from around the world. These pics from a recent tour Spain April 2017 by Ruben Garcia Carballo. A series of classical concerts in the historic NG Church and at Cafe Bon Bon. Tickets for the NG Church Concerts: R100 are available at www.webtickets.co.za and at the door. Christopher Duigan plays a classical recital of French music by Claude Debussy, Maurice Ravel and Jean-Phillippe Rameau with compositions drawing inspiration from the East, the exotic underworld, and reflections of the magical world that surrounds us. Duo Zomari, Bridget Rennie-Salonen (flute) and guitarist James Grace, are joined by and Catherine Stephenson (flute) in a programme of music ranging from JS Bach to music with a strong Latin-American flavour. This includes Maximo Diego-Pujol’s 'Suite Buenos Aires' and Piazzolla’s 'Histoire du Tango'. Trio Frontier - Junnan Sun (clarinet) and Aristide du Plessis (cello) with pianist Christopher Duigan - play Beethoven’s youthful Trio in B-flat Op. 11, contrasted with the Brahms Trio Op. 114, one of the composers most touching and beautiful ‘twilight’ works. Pianist Christopher Duigan turns his hand to a beautiful selection of light classics that evokes a bygone world of nostalgia, often associated with salon music and evenings at the family piano. Included are Brahms’s 'Waltz in A-flat', Dvorak's ‘Humoresque', Rubenstein's 'Melody in F' and 'The Maiden's Prayer’. 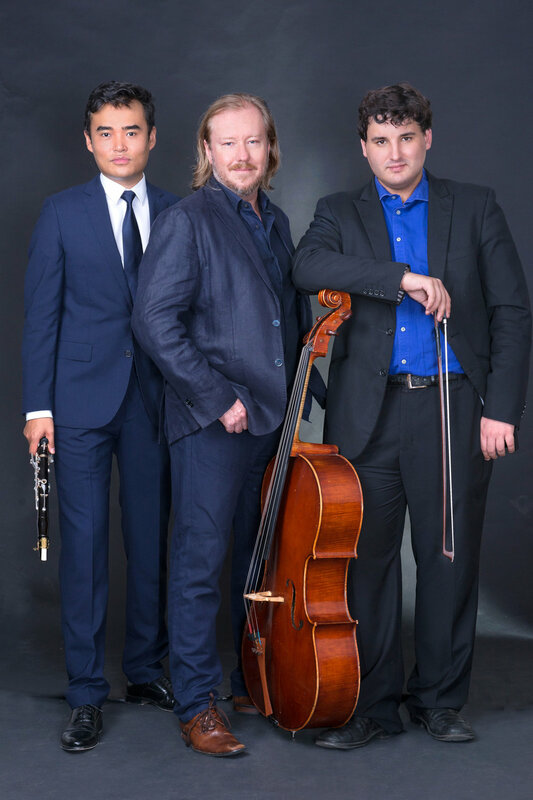 Three engaging musicians, Junnan Sun (clarinet), Aristide du Plessis (cello) and Christopher Duigan (piano) offer a thrilling afternoon music by JS Bach, Saint-Saëns, Bella-Kovacs, Piazzolla and the evergreen 'The Swan' from 'Carnival of the Animals' for a spirited festival finale. R500 includes a three-course meal. It was an extraordinary sight, watching people thrusting R100 and R200 notes in the face of our ticket sales lady desperately wanting to get a ticket before the concert started! We were hard pressed to find everybody a seat. From the first few notes Christopher played, I knew it would be a wonderful concert and that once again he would not disappoint. He started with Chopin’s E flat Nocturne, and played so quietly, sensitively and compellingly no one dared breathe. Then he proceeded to play all those pieces everyone knows so well, the ones they had come to hear: to my mind completely faultlessly, with perfect rippling passages in the high register, singing through the left hand and being so incredibly present throughout the entire recital that there seemed never a dull or boring moment. He was a credit to his teacher, the late Lamar Crowson, who has passed on gifts of imaginative playing and complete technical mastery over this demanding music, and yet Christopher brings his own insights and irreproachable musicality. It was a deeply satisfying concert to everyone there, richly deserving of the standing ovation at the end. UJ Arts Centre, Kingsway Campus. Audience members are encouraged to make a donation to the Dean’s Bursary Fund in support of deserving students in the Faculty of Art, Design and Architecture. Rounding off 2016’s newly initiated Classical Music programme, UJ Arts & Culture is proud to present the inaugural Dean’s Concert 2016, entitled A Grand Night for Singing. As the grand finale of the year’s programme, this free concert offers Johannesburg audiences a rare opportunity to hear two of South Africa’s rising opera stars – soprano Siphamandla Yakupa and tenor Lukhanyo Moyake – along with the celebrated South African pianist, Christopher Duigan, the award-winning UJ Choir conducted by Renette Bouwer, and the Dean of the Faculty of Art, Design and Architecture at UJ, accomplished baritone Federico Freschi. Siphamandla Yakupa and Lukhanyo Moyake are both soloists at the Cape Town Opera Company, and are fast becoming sought-after artists on international opera stages. This year they were both finalists in the prestigious Hans Gabor Belvedere international singing competition. Yakupa’s roles include Musetta in La Bohème, Clara in Porgy and Bess, and Winnie Mandela in the Mandela Trilogy, to name a few. Forthcoming engagements include the role of Clara in Porgy and Bess in Argentina. Lukhanyo Moyake has performed a multitude of roles, including Alfredo in La Traviata, Jaquino in Fidelio, Belmote in Die Entführung aus dem Serail, and Leicester in Maria Stuarda. He is currently preparing the role of Don José in Lisbon, having recently won the Emmerich Smola Förderpreis in Landau, Germany. 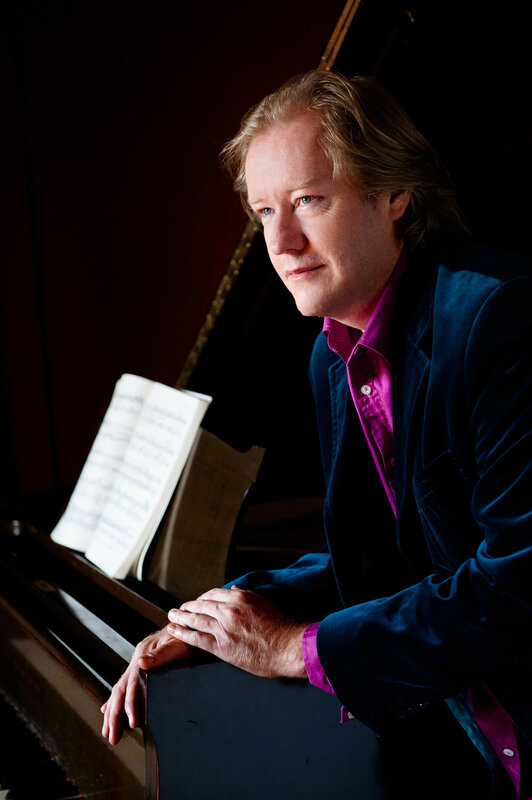 Pianist Christopher Duigan has performed extensively with all major South African orchestras, festivals and stages in a repertoire of more than 25 compositions for piano and orchestra. In recital he has developed a popular following through his innovative presentation and programming. Recent highlights include performances of Gershwin’s ‘Rhapsody in Blue’ with the KZN Philharmonic Orchestra in Durban and Pietermaritzburg and a seven concert tour in Spain with saxophonist David Salleras and the GIOrquestra. In addition to his extensive academic accomplishments Federico Freschi is a well-known baritone, who studied towards a Diploma in Opera from the UCT College of Music. He has sung principal roles in a number of operas, operettas and musicals, and continues a concert career. This is a free concert, but audience members are encouraged to make a donation to the Dean’s Bursary Fund in support of deserving students in the Faculty of Art, Design and Architecture. 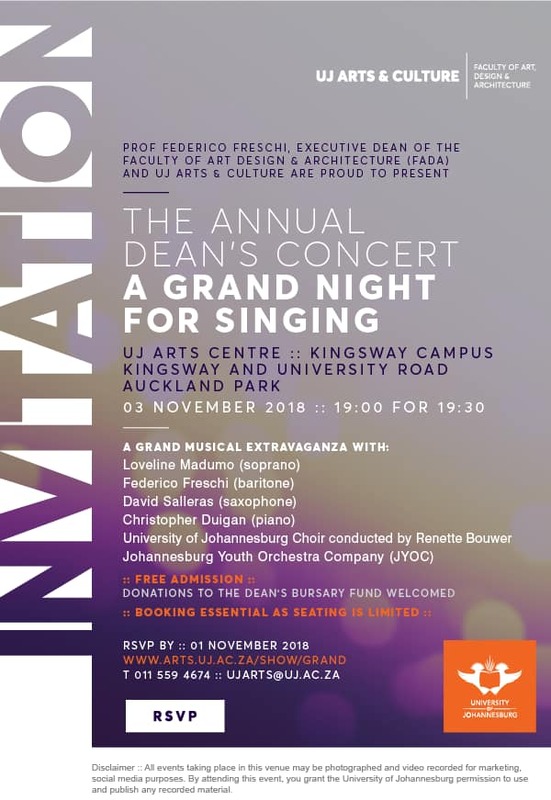 The Dean’s Concert 2016 – A Grand Night for Singing – takes place on Saturday, 5 November 2016, 8pm at the UJ Arts Centre, Kingsway Campus. Pleases RSVP before Monday 31st of October 2016 to preciousm@uj.ac.za. THANKS TO EVERYONE WHO SUPPORTED OUR FESTIVAL ! Outstanding young Cape Town-based musicians Patrick Goodwin (violin) and Reese Barkhuizen (piano) open the festival with three richly hued, expressive and favourite sonatas for violin and piano; Mozart in E minor, Beethoven’s final violin sonata op. 96 and Norwegian Edvard Grieg’s Sonata no. 3 in C minor. The last work adds dramatic flourish to any festival programme! Goodwin is the concertmaster of the Cape Town Philharmonic Orchestra and is much in demand as a soloist and chamber musician. The duo have performed extensively in concert together. ‘Andalucian Nights’ features original flamenco guitar music with leading flamenco exponent Saudiq Khan and arrangements of flamenco-inspired classics by performed by James Grace. The classics are celebrated compositions by Isaac Albeniz, Joaquin Turina and Joaquin Rodrigo. 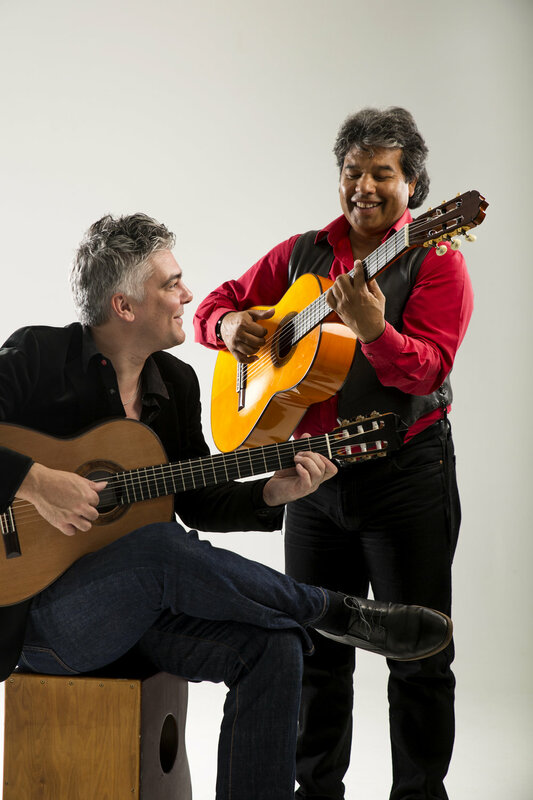 They combine this with a contemporary mix of popular Spanish music in their own versions for two guitars by luminaries such as Paco de Lucia, Al di Meola and the Gypsy Kings. Don't miss this exciting and energetic collaboration! In an ongoing exploration of Beethoven’s sonatas at the Franschhoek Music Festivals, Christopher Duigan plays three Beethoven sonatas in a Sunday morning performance at the historic NG Church. The three sonatas clearly represent what is often referred to as the ‘early, middle and late’ periods of the composer’s compositional style and life - they are the Sonatas in F op.10 no. 2, the popular ”Moonlight’ op. 27 no. 2 in C-sharp minor and op. 109 in E. Music by Schumann from his Noveletten op. 21 and Brahms Intermezzi Op 118 complete the selection. Enjoy a superb evening of the world’s most beautiful piano music in a magical setting. Christopher Duigan plays and introduces twenty short popular piano solos in this intimate, candlelit evening at Cafe Bon Bon. Well known for his innovative presentation of familiar piano selections, Duigan combines brilliant piano playing with easy-going anecdotes on the music. Included are the Rondo all Turca, Clair de lune, Rustle of Spring, Minute Waltz, Liebestraume, Greig’s Wedding Day at Troldhaugen and many more. 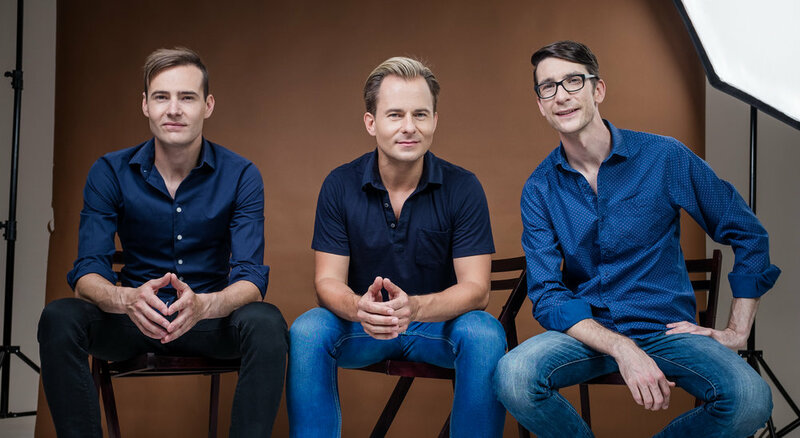 The Charl du Plessis Trio make their début at the Marriott Classic Music Festival in Franschhoek. This concert will feature Steinway Artist Charl du Plessis (piano), Werner Spies (bass) and Peter Auret (drums) playing Du Plessis’ signature arrangements of music by Bach, Vivaldi alongside jazz masterpieces by Duke Ellington, Dave Brubeck and Chick Corea. This trio has just released their first international album Baroqueswing Vol. II on the Swiss records label Claves and regularly tours to China, Holland and Switzerland. 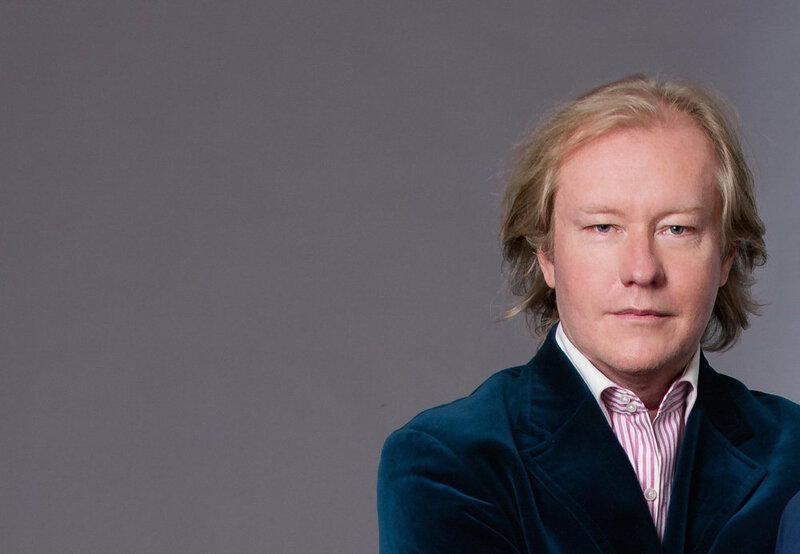 Celebrated concert pianist, Christopher Duigan, will be performing the music of Frédéric Chopin at St Andrew’s Church in Greenpoint, Cape Town at 3 pm on Saturday, August 20. He will be playing the composer’s Ballade No 3, waltzes in E-flat, A minor and B minor, three Etudes from Op. 10, Scherzo No. 1, and a selection of Nocturnes. The Pietermaritzburg-based concert pianist will also be discussing the insight he gained into Chopin and his music on a trip to Warsaw in Poland and the Chopin Museum last year. Tickets for the concert are R150 (R100 concessions) at www.quicket.co.za. CELEBRATED concert pianist, Christopher Duigan, will be performing the music of Frédéric Chopin at the Brooklyn Theatre in Menlyn Park Pretoria at 3 pm on Sunday, June 19. Duigan, a Steinway Artist, has devoted much time to the study and performance of Chopin’s music in his professional career over the last 25 years and was invited to give two recital programmes of his music at the National Arts Festival in Grahamstown in 2010 on the 200th anniversary of the composer's birth. Tickets for the concert are R150 (R130 senior and R90 student) in block A and R130 (R110 senior and R90 student) in block B. To book phone 078 513 2074 or 072 126 8199. The Brooklyn Theatre is at the Greenlyn Village Centre, corner of Thomas Edison and 13th Streets, Menlo Park. 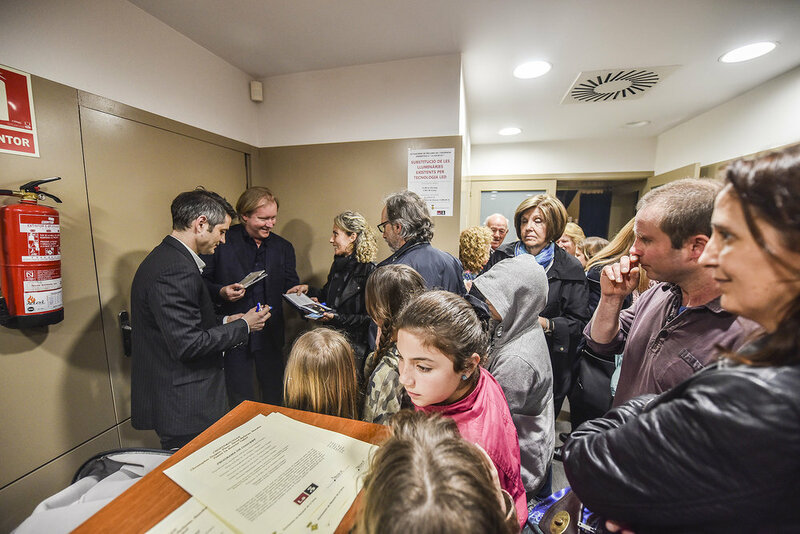 Thanks to everyone who attended our concerts! What a fantastic weekend it was! Guitarist James Grace joins Christopher Duigan in a popular selection of favourites from this exciting and innovative duo's repertoire - classical, jazz, pop and standards. Christopher Duigan plays piano music by Frederic Chopin including the Ballade No. 3, Waltzes, Nocturnes and Scherzo No.1. The exciting new Juliet Quartet play Beethoven's String Quartet Op 18 and Mozart’s Pianos Concerto in A K.414 with Christopher Duigan (piano). Christopher Duigan repeats his Chopin selection along with music by Liszt and Debussy. Experience a sublime evening of Romantic piano music in a magnificent setting. Cape Town Tango Ensemble players Stanislav Angelov (accordion), Charles Lazar (bass) and Piet de Beer (violin) join Christopher Duigan in a spirited tango music performance. 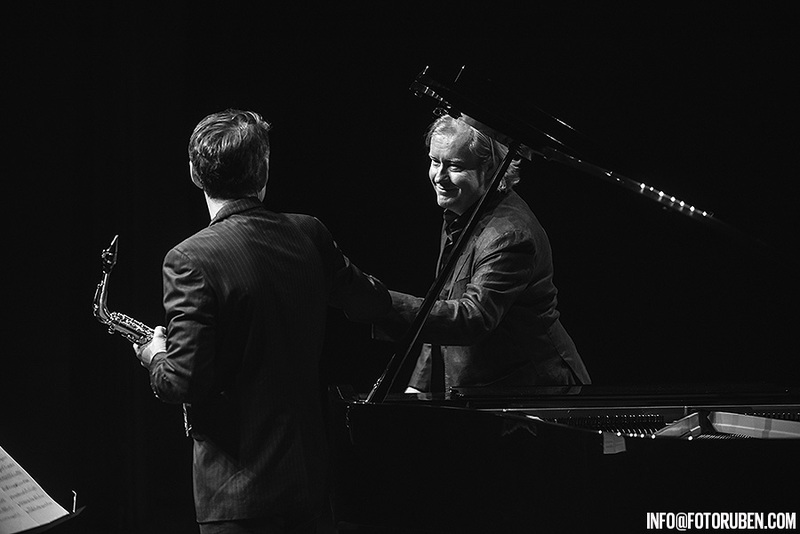 A unique crossover concert with Mike Rossi (saxophone) and Christopher Duigan. Gatheringthreads from the American Songbook, jazz standards and their own original material, this collaboration offers both musicians a chance to explore and find common ground in a unique enterprise. US-born Mike Rossi, much in demand throughout the country and internationally at major jazz festivals, heads the Jazz Studies programme at UCT. 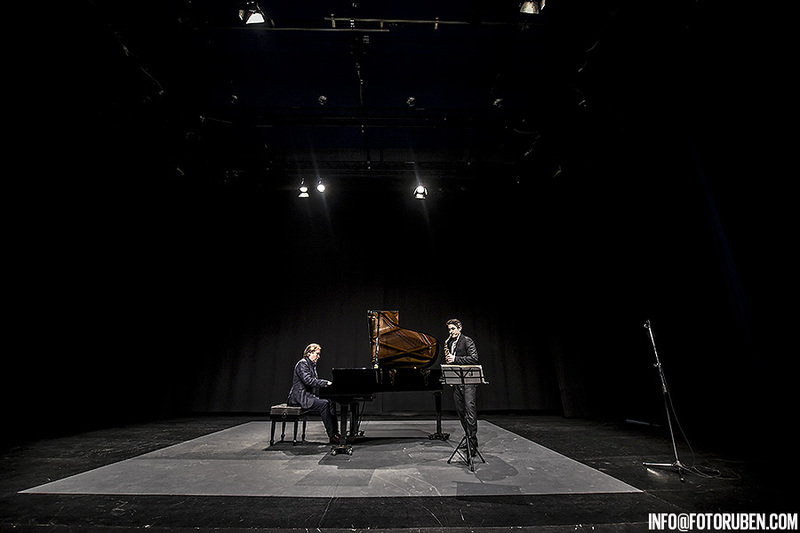 He now teams up with classical pianist Christopher Duigan in an extraordinary crossover collaboration that offers unique opportunity and challenge to both. Also includes a selection of seasonal material. 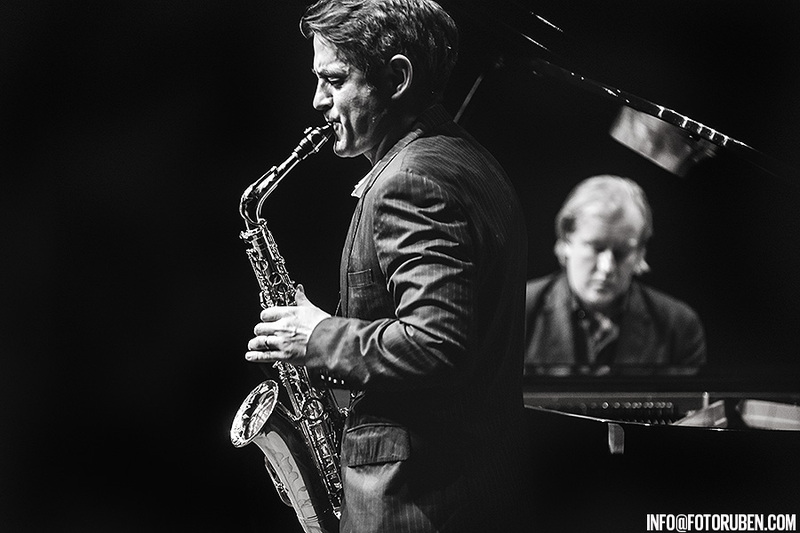 A unique crossover concert with Mike Rossi (saxophone) and Christopher Duigan. Gatheringthreads from the American Songbook, jazz standards and their own original material, this collaboration offers both musicians a chance to explore and find common ground in a unique enterprise. US-born Mike Rossi, much in demand throughout the country and internationally at major jazz festivals, heads the Jazz Studies programme at UCT. He now teams up with classical pianist Christopher Duigan in an extraordinary crossover collaboration that offers unique opportunity and challenge to both. Christopher Duigan plays a inspired selection of music for a Sunday morning classical recital in the historic NG Church. Included is music by Mozart, Chopin and Debussy along with Beethoven’s celebrated ‘Tempest’ Sonata. According to Anton Schindler, Beethoven’s secretary and first biographer, the composer said that those wishing to understand this music should read Shakespeare’s ‘The Tempest’. It is widely acknowledged as one of the composer’s great masterpieces. R475 includes a three-course meal. Three superb voices gather for a glamorous evening at Cafe Bon Bon. Celebrated mezzo Violina Anguelov is joined by long-time colleague Beverley Chiat (soprano) in a superb and entertaining selection of opera duets and arias. They have delighted audiences nation-wide together for many years. They are joined by the young tenor Lokhnayo Moyake who is fast becoming a ‘hot ticket’ on the scene. Expect spectacular performances from ‘Carmen’, La Boheme’, ‘Rigoletto’, ‘La Traviata’ and comic moments in this beautifully styled and created programme. Christopher Duigan accompanies at the piano. BON BON FINALE - THIS EVENT IS SOLD OUT - BUT DO CALL IN CASE OF A 'GOOD WEATHER' BOOKING ON THE DAY. A gathering of three versatile musicians in one festive performance provides great entertainment for a relaxed Sunday Lunch Concert. Guitarist James Grace, Stanislav Anguelov (accordion) and Christopher Duigan (piano) create many superb moments in a varied and easy-going presentation. With music from classical, tango, jazz, pop repertoire and a unique collaboration between the three, anything can happen! The Marriott Classic Music Festival in Franschhoek is produced and directed by Christopher Duigan's MUSIC REVIVAL. Gauteng audiences will have a unique opportunity to enjoy a concert with four of South Africa’s most acclaimed voices at the University of Johannesburg’s Arts Centre on Sunday, October 25. To celebrate the month of Italian language and culture abroad, The Italian Institute of Culture in collaboration with UJ Arts & Culture (a division of the Faculty of Art, Design and Architecture) and Christopher Duigan’s Music Revival present a gala opera performance to remember at UJ Arts Centre on the University of Johannesburg’s Kingsway Campus starting at 16h00. Entrance is free. The programme, titled LA MUSICA DELL’ITALIANO, includes a feast of Italian operatic highlights, duets and ensembles from La Boheme, Barber of Seville, La Traviata and other operas, plus music by Leonvavllo, Puccini, Mozart and Verdi. The finale will see the featured four soloists on stage together with members of the famed UJ Choir in Verdi’s anthem Va, pensiero or Chorus of the Hebrew Slaves from Nabucco. Featured in this gala event are Cape Town-based soloists Beverly Chiat (soprano) and Violina Anguelov (mezzo-soprano). Both graduates of UCT Opera School, Chiat and Angeulov have maintained busy careers on major opera stages and as sought-after oratorio soloists with major orchestras nationally. They have also worked together as a duo in an extensive line-up of informal events resulting in a infectious and easy stage chemistry. 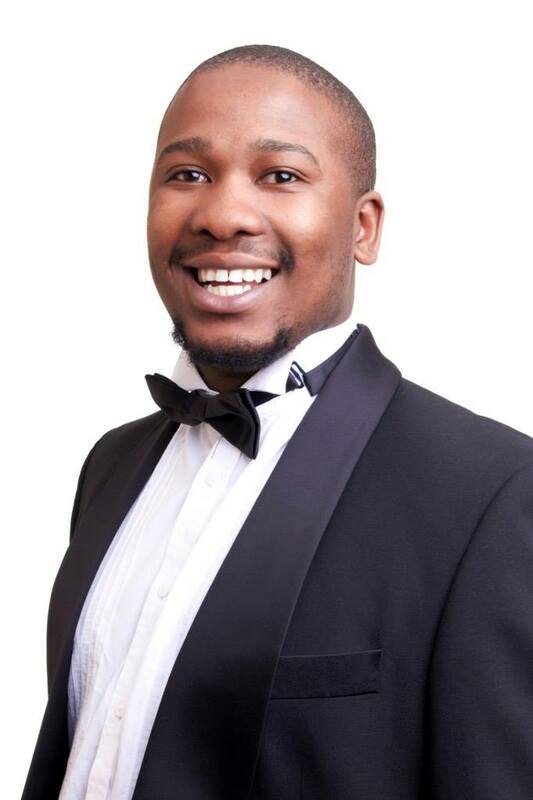 Standard Bank Young Artist for Music 2014, baritone, Njabulo Madlala, who is now based in London, joins them on stage, as does fellow baritone Federico Freschi, Dean of the Faculty of Art, Design & Architecture at the University of Johannesburg. Freschi maintains a unique double career as concert artist and Dean of the Faculty. The singers are supported and accompanied by acclaimed musical director and pianist Christopher Duigan. LA MUSICA DELL’ITALIANO, featuring a popular selection of classic melodies and operatic passion and drama, takes place at the UJ Theatre, Kingsway Campus, Auckland Park on Sunday, October 25 2015 at 16h00. Admission is free but booking is essential. To reserve your seats contact Precious Maputle via email at precious@uj.ac.za or phone 011 559 3058. On Saturday 11 July Music Revival presents a celebration of French song 'La vie et la musique’ at Cafe Bon Bon for Franschhoek's Bastille weekend. The popular stage personality and operatic baritone Federico Freschi is joined by Christopher Duigan at the piano. Both are sought-after performers on South Africa's concert stages. Their selection of French music features a choice of classic French songs, operatic arias from Gounod's Faust and Bizet's Carmen and from the genre of popular French song, La Vie en Rose, Autumn Leaves and Plaisir d'amour. A select clutch of songs form Cole Porter’s Paris years are also featured. The song selection theis interleaved with piano solos from Debussy, Satie and Ravel including Debussy’s Clair de lune. The 'Bastille soirée: La Vie at la musique' is presented at Cafe Bon Bon at La Petite Dauphine on Saturday 11 July. Tickets are R450 which includes a three course meal served at 7:00 pm. Booking for these popular evenings at Cafe Bon Bon is essential. Tel. 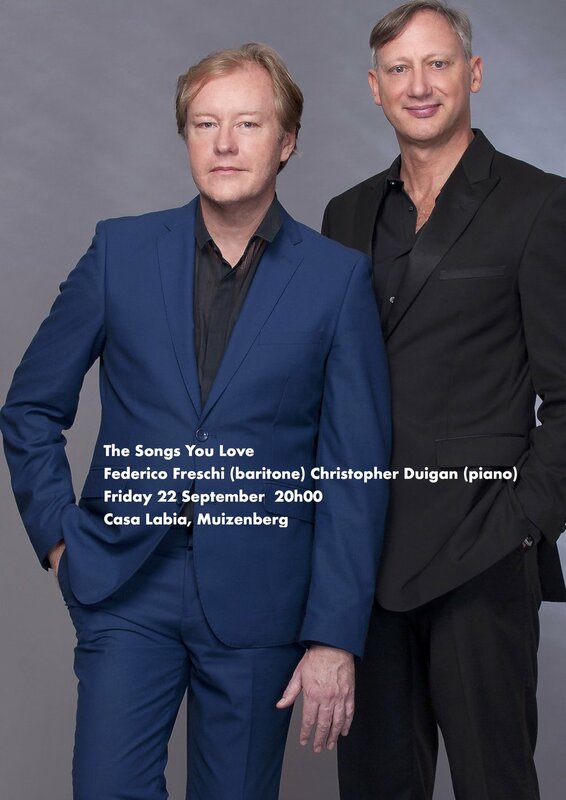 Cafe Bon Bon 021 876 3936.
INTERNATIONAL STEINWAY ARTIST CHRISTOPHER DUIGAN AND SPANISH SAXOPHONE VIRTUOSO DAVID SALLERAS ARE TOURING SOUTH AFRICA TO LAUNCH THEIR NEW CD INDIGO. Since his first visit to South Africa in October 2012, virtuoso saxophonist David Salleras has been collaborating on a project of concerts and recordings of original music with Christopher Duigan. Regarded as one of the world leaders in contemporary classical saxophone players Salleras (who is based in Barcelona, Spain) has attracted international attention though his fluency in a variety of musical styles. In addition his innovative compositions which incorporate traditional flamenco idioms with contemporary and avant grade performing techniques are performed by saxophonists worldwide. 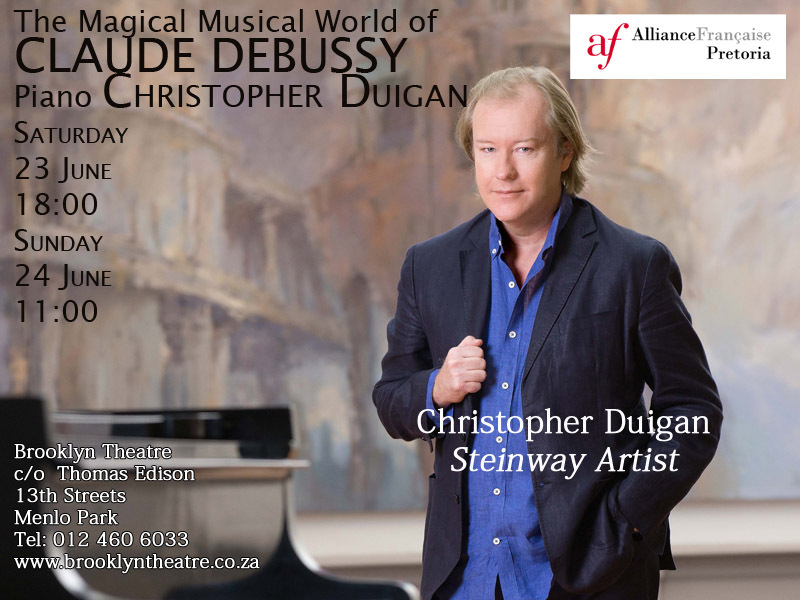 His partnership with Steinway artist and leading South African concert pianist Christopher Duigan has focussed however on something quite different; Duigan's own original music for saxophone and piano. Created over a number a years Salleras has expressed a particular interest in this new music which he sees as a valuable contribution to the saxophone repertoire. The music, suitable for concert and teaching material, includes 'Six Pint Sized Pieces', 'Four KZN Landscapes', 'Soledad' and 'Indigo'. Scores will be published and available under Salleras edition. A typical recital performance by Salleras and Duigan includes selections from their vibrant world music repertoire from Spain and Argentina, film music, plus selections from both the Duigan and Salleras repertoire. These performances have taken place in Music in The Mountains (Drakensberg Boys Choir School), Cape Town (UCT), Franschhoek Classic Music Festival, Tatham Art Gallery (Pietermaritzburg) and Brooklyn Theatre (Pretoria). A major highlight was the recent performances by Salleras with Duigan at the piano in thee Piazzolla numbers - Libertango, Oblivion and Adios nonino - with the KZN Philharmonic Orchestra in Durban City Hall. This selection was repeated in Pietermaritzburg in October 2014. UJ Arts Centre Theatre - Kingsway Campus. International concert violinist and member of the Carnegie Hall Young Artists Programme “The Academy”, Joanna Frankel plays a celebratory programme of music by Elgar, Gershwin, and Ravel for a evening recital with Christopher Duigan (piano). Steinway pianist Christopher Duigan plays a varied recital of solo piano music by FJ Haydn, Frederic Chopin, and ‘water themed’ music by Franz Liszt, Claude Debussy and Maurice Ravel. South African classical guitarist James Grace joins young guitarist Chloe Murphy in a programme of music for two guitars. Music by John Dowland and Isaac Albéniz, with original duo works by Fernando Sor and Maximo Diego Pujol. Booking: Café Bon Bon 021 876 3936. R450 Includes a three course meal. An exciting opera evening featuring two magnificent voices. Violina Anguelov has earned a stellar reputation as SA’s top mezzo and introduces the young tenor, Lukhanyo Moyake. They sing celebrated arias, duets and songs from Carmen, Samson and Delilah, La Traviata, Rigoletto and more for a glamorous evening. Christopher Duigan and Joanna Frankel (violin) play music by Chopin and violin favourites for an entertaining after lunch performance. Duigan and Grace will be joining forces to create a unique afternoon of music when they perform together at the UJ Arts centre Theatre on 10 May at 15:00. Both are noted for their musicianship and the profiles they enjoy on major concert stages as well as on on-air playlists (ClassicFM and Fine Music Radio). “Their unique combination of guitar and piano is promises to be magical,” says UJ Arts producer Grace Meadows. “We are greatly honoured to be in the positon to partner with Christopher Duigan’s Music Revival to present a concert of this calibre as part of the UJ@10 celebrations,” she adds. The programme includes many of their own arrangements and improvisations with standard classical fare. On this occasion they choose a strong Spanish and South American flavour with numbers including Milonga - Cardoso, Spain - Chick Corea, Tico Tico - Abreu and music by Astor Piazzolla together with contemporary pop classics including Fields of Gold - Sting. Duigan's own compositions are represented by his searching Indigo (now an audience favourite at any Duigan & Grace concert). Both musicians will perform solo numbers with Grace's haunting rendition of Theme from The Deer Hunter complimenting Duigan's piano solos. They will be joined by Federico Freschi, well known operatic baritone and Dean at UJ Faculty of Art Design and Architecture in selected numbers complementing the Latin theme including the popular Green Eyes or Aquellos Ojos Verdes.